Whether you’re just starting your own business in Ireland, or if you need to upgrade your online presence for an established Irish business, choosing the right webhost company is essential. However, it can sometimes be a challenge to understand what to look for in qualified web hosting services. You don’t want to invest in a website hosting company in Ireland, only to find that they don’t really offer you what you need. You also want to work with a company that puts security first. Read on to understand what you should look for in a top website hosting service that’s fit for your business. The number-one thing to be on the lookout for when you’re in the market for a top webhost company? A diverse set of hosting packages that you can choose from. Make sure you understand the amount of storage space you need, whether or not you need email accounts, the databases you require, and whether or not the domain name is included in the package. Talk with the hosting provider, and ensure that they can give you what you need. Understand whether you’d like to share a server with other websites, or if you’d like to have a virtual private server. Remember, web hosting isn’t a one-size-fits-all solution. There are few things worse than realizing that your website’s growth is limited by the amount of storage space your web host is able to offer you. If you know you’ll need more storage space, we strongly suggest that you work with a hosting platform that offers a VPS, or a virtual private server. You’ll also get at least one dedicated IP address, anywhere from 1-4 GB of RAM, up to 60GB of SSD storage space, and much more. VPS hosting comes with a wide variety of other benefits, as well. It’s still a more affordable option than dedicated web hosting. Plus, you’ll enjoy a website that loads quickly and completely — even when you experience an uptick in website traffic. Speak with the hosting provider about how you’re able to customize your VPS server, as well. There are countless additional features that you can invest in to upgrade your site and server. Your webhost company should also prioritize app offerings and installation in general. Apps are a wonderful way to increase the overall user experience on your website. In some cases, apps can also help you to get to know your site visitors on a deeper level. This leads to valuable marketing insights that can help you to increase your bottom line and create more effective advertising strategies. Apps also give you a greater ability to customize your site. After all, you don’t want your site to look like a copy of your competitors’. The right apps can improve the e-commerce experience, automate the security and the buying process, and much more. Also ask if the hosting company has demos available. You don’t want to have to download an application to your website and install it, only to find that it’s not the right fit for your site. Ensure that the company can guide you through the app installation process. After all, you want to spend time creating and improving your website — not sitting around trying to work out how to open up and install an application. When you need to find a top website hosting company in Ireland, you need to ensure that they can offer you SSL Certificates. This means you’ll get data encryption, higher overall security, and much more. These certificates can prevent hackers from gaining access to your data while it’s in transit. Additionally, they ensure that only the people who you want to have access to your files and data will get it. Especially if you have passwords, collect credit card numbers, and store personal information on your site? Having it fall into the wrong hands could mean the end of your business. Avoid that with SSL Certificates. Phishing attacks are, unfortunately, an incredibly common way for hackers to get ahold of your information. These attacks can quickly infect your whole network. In some cases, these hackers may even be able to control your website. We know this isn’t a situation that you want to be in. So, look for a webhost company that offers additional domain email defense features. Ask about IP blocking, virus scanning, and the other email security features they offer. You also want to be able to keep spam out of your domain inbox as often as possible. Look for email defense programs with robust filtering. Also, talk to the hosting provider about spam quarantine. The best way to achieve this is through the use of Real-time Blackhole (RBL) tech. This helps you to identify common threats and block them before they even have the chance to get into your inbox at all. Of course, the features that a webhost company has to offer are incredibly important. So is the amount of support that they can provide. But you also need to take the time to research their reputation. This way, you’ll have a better understanding of the level of service they can provide. You may even want to speak with some past references or current clients. When you do, ask them how quickly problems are fixed, as well as how often they occur in the first place. You should ensure that there are no billing issues, and that the company delivers what it promises. While online testimonials are important, speaking to someone directly is even better. If the company can’t or doesn’t seem to want to provide you with these references? It’s a sure sign that it’s time for you to move onto another option for a web host. It’s no secret that hacking is a persistent problem in Ireland, as well as in other parts of the world. When you’re trying to find the best website hosting company, you need to ensure that they have the best possible security features. You should ask them how they look or suspicious activity when it comes to users on the website, login attempts, and much more. Ensure that they frequently update any firewall, DDoS, and antivirus software they’ve installed. Talk to them about how often they monitor your network, and the kinds of attacks they guard against. Make sure they also guard against malware. If they do detect any kind of an issue on your computer, understand how they’ll respond. You also need to ensure you have a good understanding of their backup methods. How often do they run complete or partial backups of your website? If the worst happens, how long will it take for them to get your website back online? You don’t want to end up in a position where you have to negotiate with hackers. Especially if your site collects personal and credit card information about clients, you want to ensure your hosting company takes the proper steps to protect that data. Of course, looking for a website hosting company in Ireland that prioritizes site security and data backup is important. However, the reality is that, no matter how careful you are, things can still go wrong. Additionally, you must remember that hacks and data breaches are far from the only emergency technical issues that require support. You may find that your website has been kicked offline. You might encounter issues with updating your website, coding, adding new products to an e-commerce platform, and more. You need to ensure that you’re working with a company that helps you to get your website up and running again as soon as possible. No matter what kind of issue you’re facing or question you have, you need a provider that’s there for you on your schedule. You don’t want to lose business because you’re waiting around for your hosting provider to get back to you. Look for a hosting company that offers 24/7 technical support. They should have an email-based ticket system, and the support should also be toll-free. A hosting platform should also prove their authority by giving you access to articles that answer common questions and address common issues. In addition to helping you to fix any problems, they should also help to educate you on how to take your website to the next level. Don’t settle for anything less than the best when it comes to web support. When you’re trying to find website host services, we know that your budget is one of the first things you think about. However, many web hosting companies will charge you for services, features, and even storage space that you really don’t need. Of course, the opposite end of the spectrum is also an issue. If you go bargain shopping for your hosting services, you put your site security at risk. You also may not be able to get the level of uptime — the amount of time your website is up and running — that you deserve. Your website could easily get kicked offline because another site you share a server with had an unexpected surge in traffic. So, when you meet with potential web hosting services, try to find a middle ground when it comes to pricing. One of the biggest benefits of going with a professional hosting service is that you’re able to have fixed hosting costs per month. This makes it much easier for you to determine your overall budget. Understand the pricing structure. Will you be charged monthly, weekly, or seasonally? What’s included in the price? Should you require any additional services, what are the costs associated with getting them? Will the fee change after you’ve had the services for a certain amount of time? Knowing the costs up front will give you much more control. Above all, remember the golden rule. If a price is too good to be true, it usually is. As an Irish business, we know that you’re incredibly focused on growth. You want to ensure that you’re working with a website host company that has the ability — and the resources — to grow with you. Talk to your potential host about the level of scalability they have to offer you. When you’re first starting out, discuss the ways in which you can get the essential features and space you need without going over budget. Then, when you grow, discuss if they’re able to upgrade your storage space, offer you more monthly data transfer options, and even if they can offer unlimited databases in the future. You may also find that you’ll need additional security features and applications as your business grows. Above all, ensure that you’re not limited by the confines of a hosting platform. Select one that’s as growth-focused as you are. Ready to Work with the Top Webhost Company in Ireland? We hope that this post has given you a much better understanding of the things that you shouldn’t compromise on when it comes to working with the top webhost company for your business. Are you ready to connect with an expert hosting service that can grow with your company? Looking for a platform that provides you with all the features your business needs to succeed? If so, then we’re ready to work with you. We offer consistent uptime, 24/7 support, and much more. 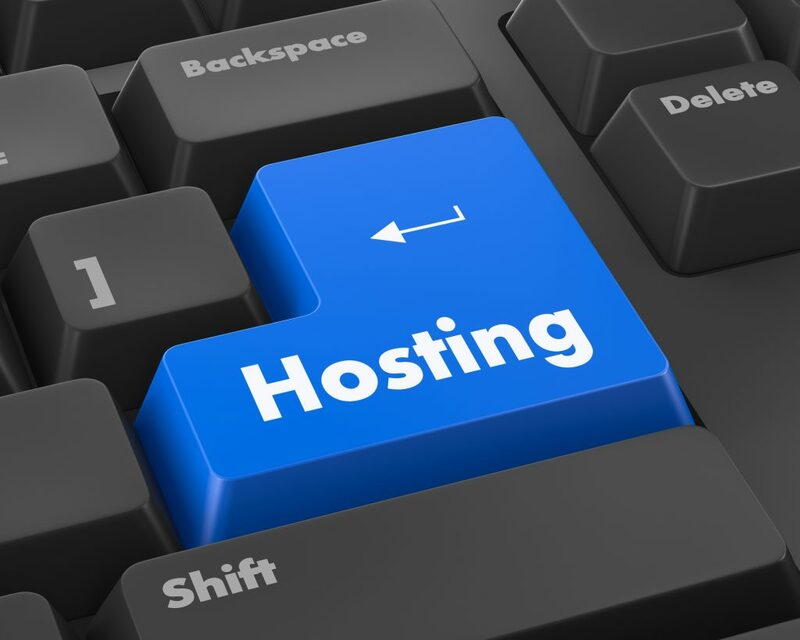 Get in touch with us today to learn even more about the different hosting options we have to offer. We can’t wait to help take your company to the next level.